Repairs and restoration are being carried out at the Mingachevir Hydro Power Plant as part of the power system rehabilitation program of Azerenergy OJSC, Trend reports citing the company. An autotransformer with a 220/110 kilovolt voltage and a force of 200 megavolts has been installed at the power plant. Some 780 meters of 110-kilovolt power lines, stretching over the Kura River, have been laid. The lines have been connected to the new autotransformer. The autotransformer is also equipped with a modern relay protection and automation. Now, with the additional autotransformer it has become possible to carry out any repairs and ensure uninterrupted power supply. 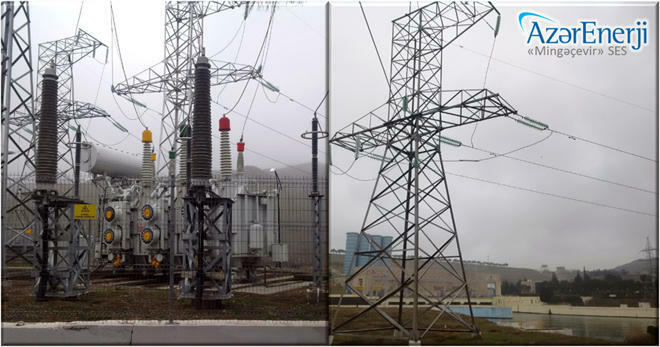 Connecting the autotransformer has had a positive impact on the quality of the power supply to the city of Mingachevir and adjacent territories.